Bachelor of science in mechanical engineering from Drexel University, 1973; doctorate in medicine from Thomas Jefferson University, 1977; Colonel, USAF Reserve, Ret. 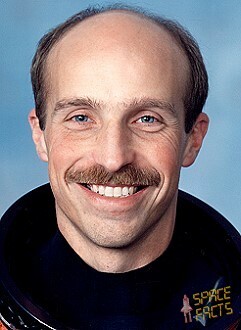 ; unsuccessful application for NASA astronaut group 8; hobbies: bicycling, backpacking, climbing, swimming, flying, raquet sports, cabinet making and automobile rebuildung; he resigned from NASA in August 1995; then he worked with Environmental Protection Agency's National Vehicle and Field Emissions Lab in Ann Arbor. Last update on August 24, 2018.